Thesis: Discovery of life by a 10 year old girl through a “secret garden”. I confess that during the Christmas’s holidays I read this book twice. I started reading this book aloud to my niece. Then after some pages and afraid we will not have time to finalize the book, I read it all through on one night. Later my niece made sure that I before leaving I should finalize reading her the book. So I read it twice. For me the books has many messages. Even that it was written over 100 years ago (the first one was originally published on 1911), its message I felt it current. The main character, Mary, is a 10 years old living in India. She is from a wealthy family ans she is mainly surrounded by servants. She might not be alone but she was lonely. Suddenly her life changes, when her parents passed away and she is taken under the custody of his uncle in England. Once in the manor of his uncle, she started to gain awareness about life. She has several adventures and discover an important secret: a garden. Her life then start to be surround and connected to this garden. That will be my very brief summary of the book. All the characters have something to contribute, e.g. Mary’s cousin, her “helper” and the brother of her helper, a gardener, her uncle…. Those were some of the reflections that I found fascinating and so current. In the following link there is many more quotes from the book. Also one can find an interesting analysis of the book on this link. The only aspect that I did not like much was that at moments the descriptions of the landscapes were slightly long for my taste. However that does not subtract in any level the richness of enjoyment that the book brings. At least for my niece and myself there was a moment that we could not put the book down, we just wanted to keep on reading! I highly recommend the book to anyone, and I wonder why I did not read it as a child? 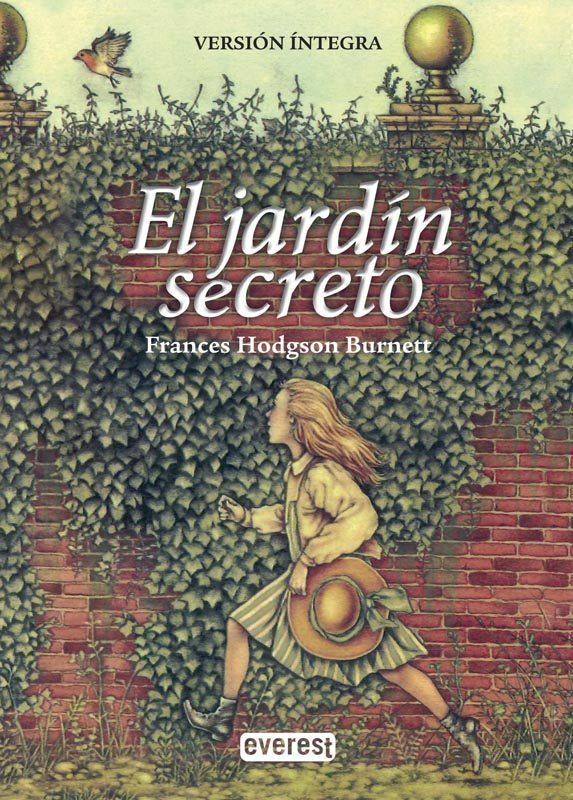 Cover of the book I read, “The Secret Garden” in Spanish. This entry was posted in books and tagged fantasy on January 4, 2018 by caislas. Last night Andres and Roman were playing with a computer game, of the type of clouds. Flow quite nice. Another game, which I found cute is snowflakes, a bit different in relation with the flow, but as well interesting. Now, what it makes me “think” in moments as this one, when I am full of energy and I can’t really think, for my own internal noise as a result of excess of a need of activity. Which by the way I have enough things to do, but all of them need my concentration, which I can’t get right now ‘cos my inner is spinning, without asking me. I wonder how to put out some of this power, in a more productive way without much concentration or thinking, and being in the place I “should” be, as behaving accordingly in a classroom or meeting, but at the same time, using this “chaos” energy, no just controlling it…… that is something to think about…. This entry was posted in video game and tagged fantasy, games on March 13, 2006 by caislas. No all the video games are of shooting, sports or racing cars. This entry was posted in video game and tagged fantasy, games on March 5, 2006 by caislas.